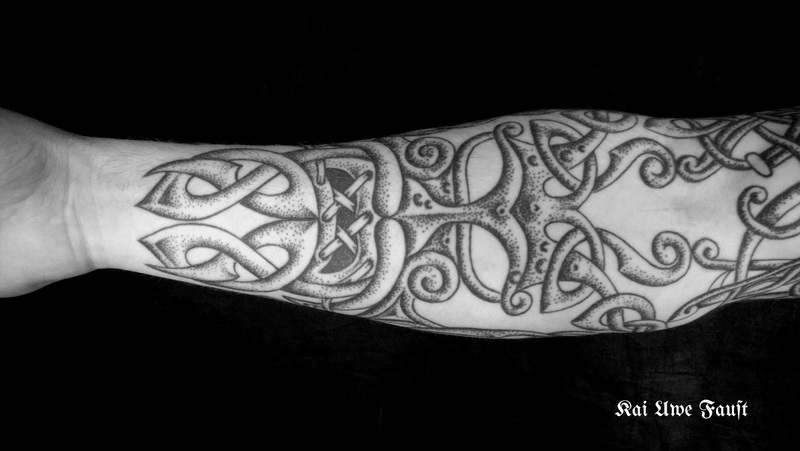 Here you see a total classic piece, the dotshading is handmade as usual and all elements come from the pagan iconography of the late iron age and the shapes are directly translated from original artefacts. 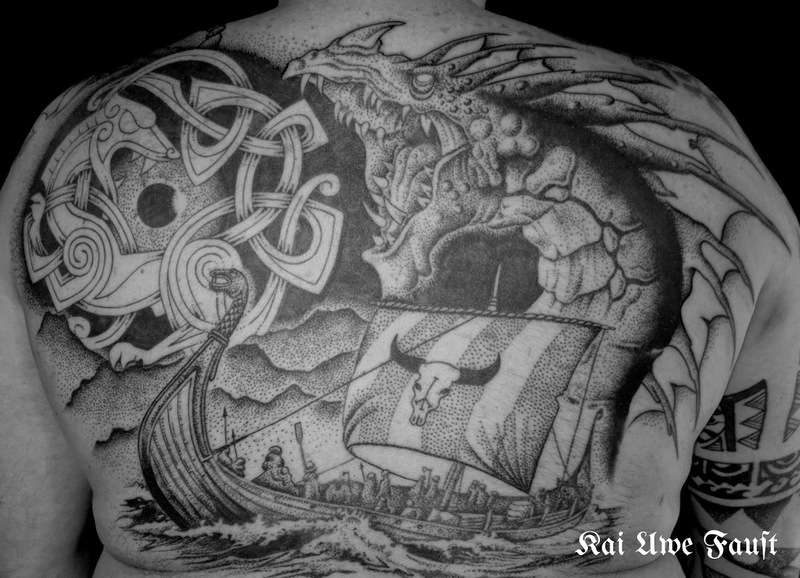 The scene depicted here is central figures of the sagas, on top we see Odin being eaten by the Fenrizwolf, Hel and Loki on the forearm and the midgardsnake on the inner arm. Here we went a little modern, away from the classic abstracted figures, that dissolve in patterns, we see the Midgardsnake coming out from the waters, while the wolf eats the sun and Loki steers Naglfar to the final battle. 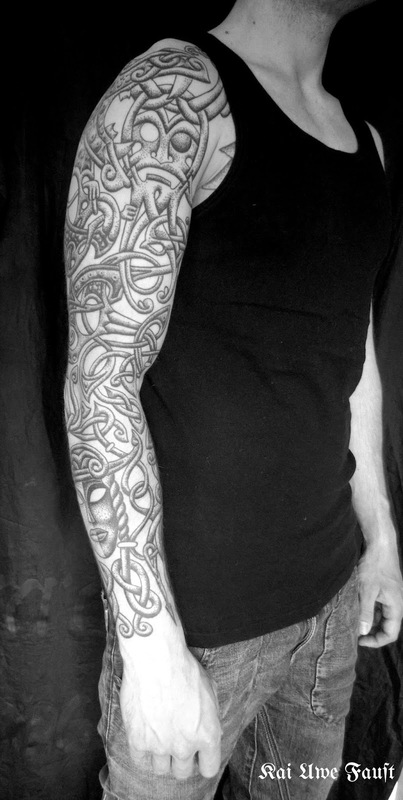 Dots by hand, still work in progress.